Mexico Beach Gumbo Cook-Off Celebrates 20 Years Feb. 17! The Mexico Beach Gumbo Cook-Off is back and better than ever for 2018! This year, the cook-off and Mardi Gras festival will move to a new location, Parker Park, just off Highway 98 right across from the Gulf in Mexico Beach, Florida. Enjoy views of the water while you stroll through the park and take in the delicious aroma of roux. 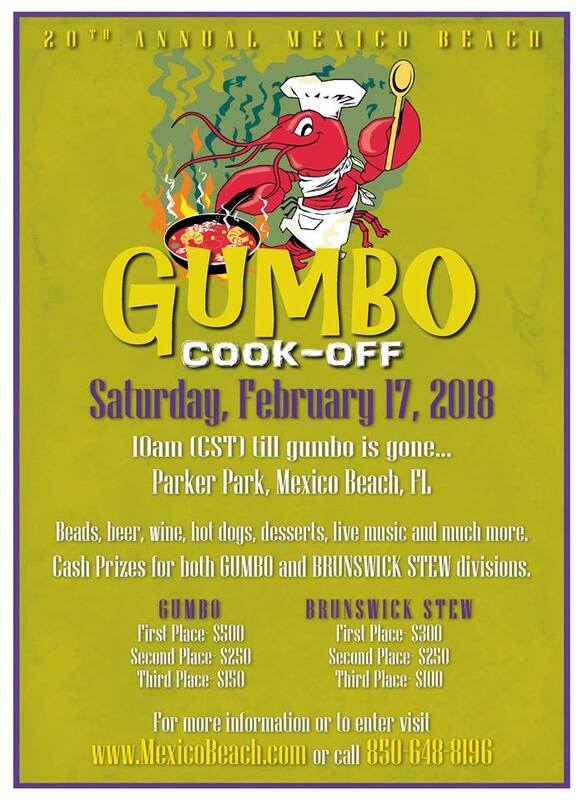 It all happens Saturday, February 17, 2018, from 10:00 a.m. (Central) until all the gumbo and Brunswick stew runs out! As always, live music, Mardi Gras beads, and other refreshments will be available—there’s something for everyone. The competition will be bigger than ever this year, as well. For those interested in entering the gumbo or Brunswick stew cook-offs, the entry form is due by Friday, February 9, and can be found HERE. Competitors are encouraged to “trick out” their tents (which will be provided by the Special Events for Mexico Beach committee along with tables, power supply, and other logistics). The chance to win the Most Spirited Tent designation has long been a Mexico Beach Gumbo Cook-Off tradition! Please read the 2018 Entry Form document for all information on what competitors should and should not bring for their booth. 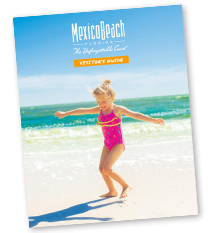 This family-friendly event is a crowd favorite, and celebrating twenty years of delicious gumbo and good times with family and friends is all the more reason to plan a trip to Mexico Beach this season! Check out our Places to Stay for some amazing deals on inns and motels, condos, vacation homes, and more.